How do you Perform a Detailed Analysis? 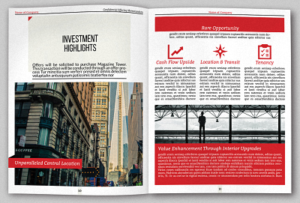 WHEN IT COMES to financial analysis for Commercial properties, it is obviously a far more complicated exercise than merely rating them from 1 to 10. That’s because you actually need a sophisticated piece of software – of which there are a number in the market place. However, most of them seem to be overly complicated … not very user-friendly, and generating endless pages of output data. You need to process about 18 separate elements. So, let’s quickly run through the various elements. You have the purchase price, stamp duty and acquisition costs (things like your due diligence) all of which have to be included. You also need to choose your loan-to-value ratio, and include any costs associated with the mortgage. Plus, your appropriate level of tax, which may vary – depending upon whether the purchase vehicle is an individual, a company, a unit trust or your super fund. You must take into account passing rental, the rental reviews, the un-recouped outgoings, ongoing management fees, and depreciation. Plus, you have to decide on the holding period and estimated selling yield down the track – which I will come back to in a moment. Finally, you need to allow for the selling costs at that time; and also the capital gains tax – where you need to include things like your initial cost-base. Without going into the intricacies of the specific software, what’s important is that you undertake your calculations within a fixed timeframe. And I generally tend to view everything over a 4-year period. It spreads your acquisition costs (stamp duty, legal fees, etc) and your selling costs (commission, advertising and legals) over a much longer period. And that will tend to make everything look unrealistically attractive. Instead, you should stick to four years – because, if the property does not make sense over four years … then you are simply kidding yourself to look at it over ten years, in order to make an economic return. As such, my yardstick is an after-tax return of 10% per annum (or better) on your equity, over a four year period. Otherwise, you simply don’t proceed with that property. As you will appreciate, many people might well say: “But I am buying it for the long haul”, and that’s okay. My reason for four years (and there’s no real magic here) … other than over that period, people can have a change of circumstances. They’ll get married, they’ll get divorced and they might even have kids. Maybe they get transferred overseas, or interstate. But somehow, there will often a change of personal circumstances. Therefore, whether you plan to, or not … it is a good idea to have a mandatory 4-year review. That’s why I settled on this timeframe. You may continue to hold the property, and that’s fine. But you need to know going into the deal that if (for whatever reason) you find yourself having to sell the property in four years’ time … it is still going to make economic sense. And over the longer term, it will be a good deal going forward. To help with this, I developed my Final Judgement software – which is made available to everyone in my Mentor group. And using this software, you calculate what (in technical terms) is called the internal rate of return. In other words, what annual return will the projected after-tax cash flow represent per annum … as a percentage of the equity you are initially investing in the property. Being “after tax” is important, because that takes account of your relative tax position. And if you have negative gearing, that’s taken into account as well. Therefore, if you are getting a 10% pa or better after tax … this represents anywhere from 14% to 18% per annum pre-tax … depending on your tax level. And I wouldn’t of thought that was too shabby. An after-tax return of 10% is the baseline – rather like a 70% rating with the HiReturn Filter. And with anything less than that, you shouldn’t be pursuing the property. The beauty with this is its simplicity – distilling your comparison down into a single figure – being an internal rate of return of 10% or better after tax. That means you’re able to compare a $500,000 property with another one, that might cost $5 million. And you will not have disparity of size (or any other factors) unduly influencing your decision. You see … if the cold, hard economics are there and they add up … then, this provides a firm basis for you proceed. There is one more thing. Residential properties tend to carry with it a degree of emotion. But with commercial property investing like offices, warehouses, shops (definitely in that preferred order) … it should be an unemotional, financial decision you’re making. If it adds up financially, you might still have a preference (by virtue of how the property looks and where it is located) as to which one you prefer. But initially make your financial decisions and assess your properties, as to whether they remain on the short list. Once you have done that, you are then in a position to move forward from there. Whether it is for the HiReturn Filter, or more-sophisticated software … you will find most of the information being supplied by the selling agents. They will produce what is called an Information Memorandum – which gives an initial summary, and goes into details on the lease, the rent, the reviews and all those things. It should also provide you with any outgoings to be picked up by you, as the landlord; plus all the various terms and conditions related to the sale itself. You can also obtain a copy of the vendor statement which will contain even more comprehensive details. Most of the information is pretty readily available; and it’s just a matter matter of quickly and systematically going through everything. And once you have done this a few times … you will understand where to look, and how to obtain the necessary information. Plus, if it is not readily available – what questions to ask, and of whom. In any event, your first port of call ought to be to the selling agents, for obtaining that sort of information. 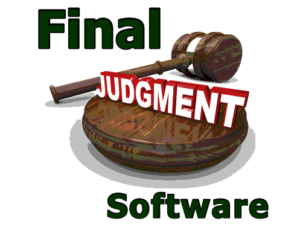 The Final Judgment software has been designed to be intuitive to use – as far as what you need to input. But behind the scenes, it is quite sophisticated in what it can actually do. It’s user-friendly because I’m the one who designed it … rather than merely leaving everything to a technical person – who is more interested in an easy coding solution, instead of an intuitive experience for the user. The properties you are analysing are the ones that have already been through the HiReturn Filter App, for an initial shortlisting. But of those actually making it onto your short list, there may be only two or three that you take to the Final Judgment software – where you further analyse them, to establish their after-tax return on equity. Assuming you proceed to purchase the property, you still need to undertake mandatory 4-year review. At that point, you need to make a conscious decision to continue owning the property. In other words, if you can’t convince yourself that the property should remain in your portfolio … then it needs to be sold. There is no value in simply being an “accumulator” of properties. 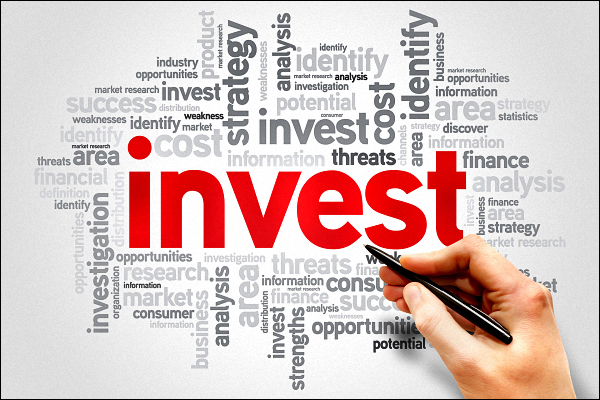 Instead, your aim is to be a savvy investor, who owns performing properties.